There is one large, central post office in Dakar and many small branches spread out through the city and suburbs. There is a post office in each of the villages. As much as the central office is a large, official site, the branches are somewhat less professional. Normally a branch consists of one small room with a sign outside the door. Given that processing is not highly regulated, one can never be sure if or when one's letter will reach its destination. 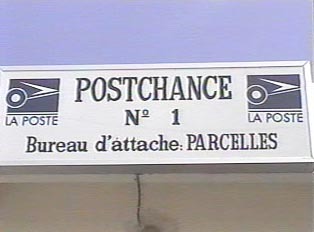 When sending valuable or time-sensitive materials, one should either go to the main post office in Dakar or use a commercial shipping agency. "Buying Stamps at the Post Office"